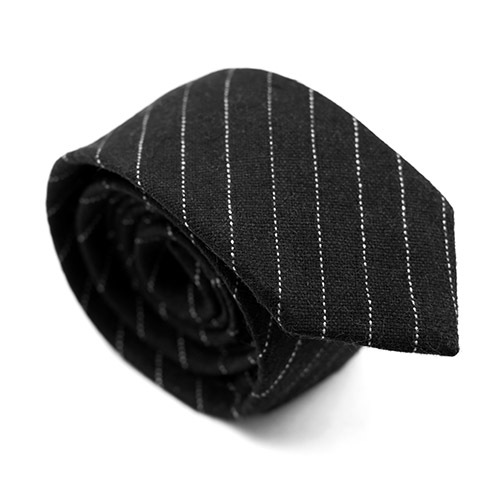 A charcoal black tie in wool with thin white stripes. 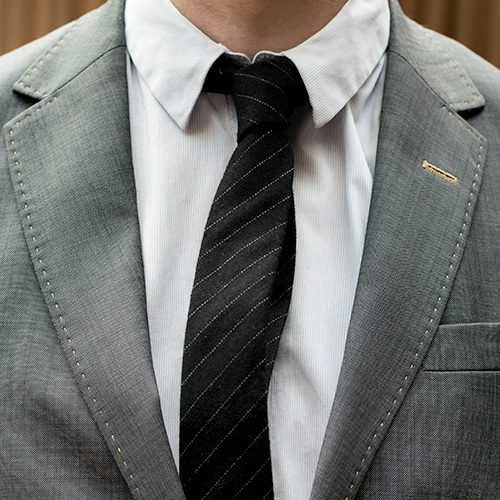 Properly formal when that's needed, but also elegant and classy with a white shirt. 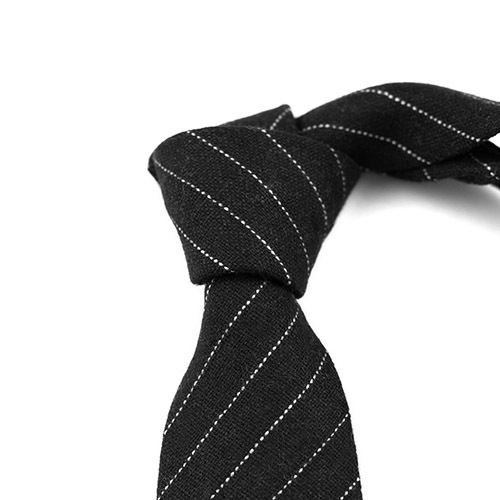 The woven wool gives this tie a less shiny texture, than a silk tie would have. â€œJeeves," I said, "those spats." "You don't think time might induce you to change your views?" "All right, then. Very well. Say no more. You may burn them." The wise and calm Jeeves have an air of correctness that beats anything. 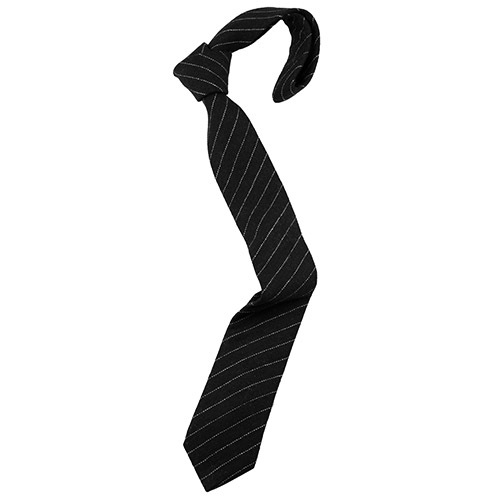 Just like this pinstriped tie. It's correct and great looking all-in-one. 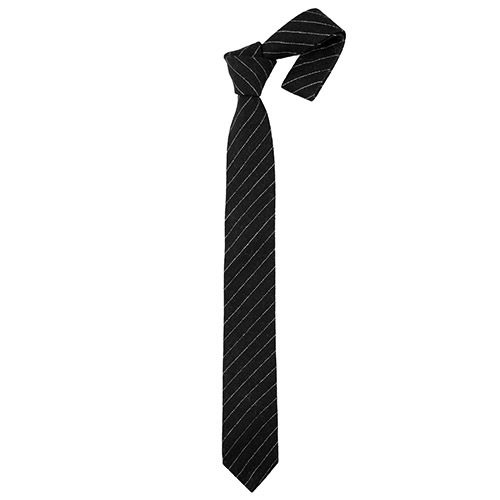 The wool fabric gives it a structure and finish quite different from a classic silk tie. More matte and laid back.